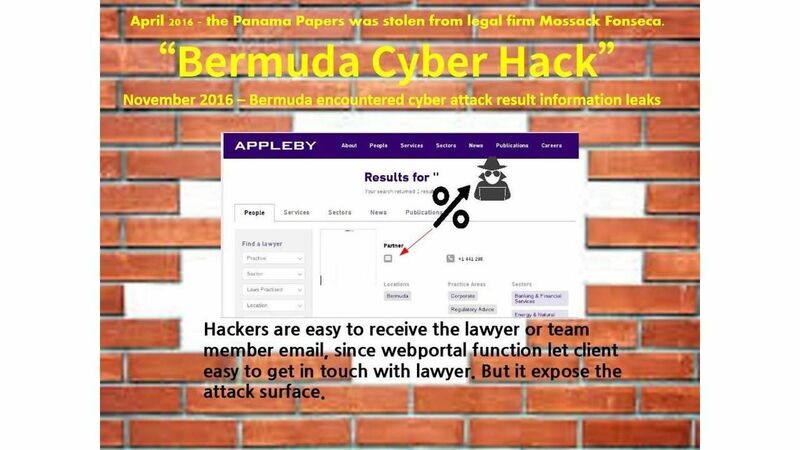 Perhaps the legal firm Mossack Fonseca data breaches incident is a history. 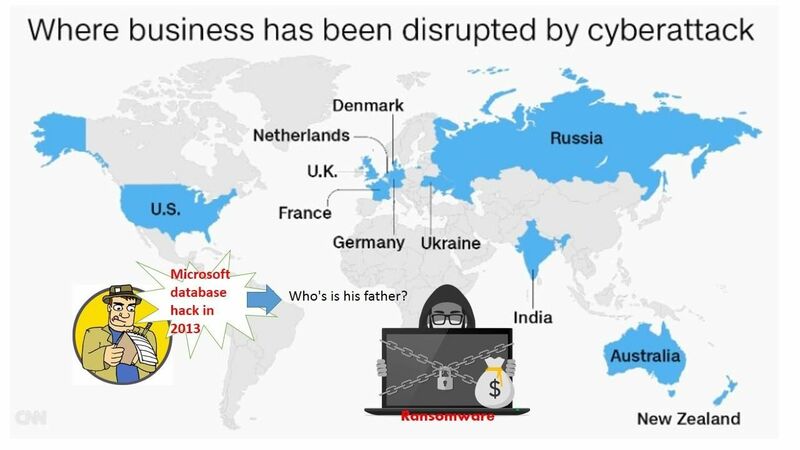 However headline news reveal another similar case which was happened on November last year.I was shock that Mossack Fonseca encountered data breach which astonish the world since Tycoon and famous people like President of Russia Putin virama was included in their customer list. A slogan told that a Tax heaven is also a hacker playground. It looks that legal firm only know how to use law regulations to protect their client. On the other hand, former cyber security incident shown that they are ignore the technology risks. In the meantime, we receive the news on newspaper that a cyber attack encountered on their database November last year (2016). But sounds like another important factor might bring to their attentions. For instance, it is easy to find the lawyer public email address because of their business operation model. Such business running model let hacker easy to obtained the email address. 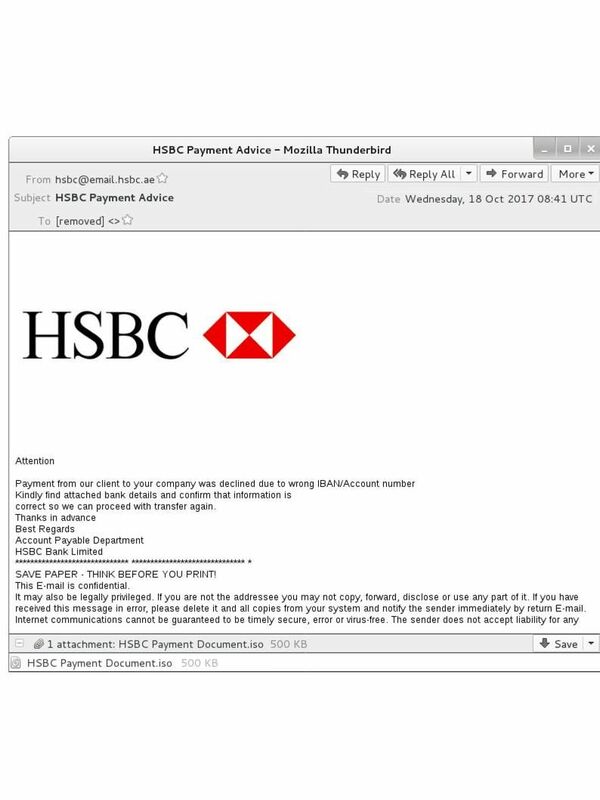 A easy way to make use of email phishing techniques let receiver become a victim. Hacker will receive the credential after compromised the email account. As a result, it is easy to drawout the data. About the detail, please refer below url for reference. Another story of offshore law firm data leakage. The firm encountered cyber attack on Nov 2016. 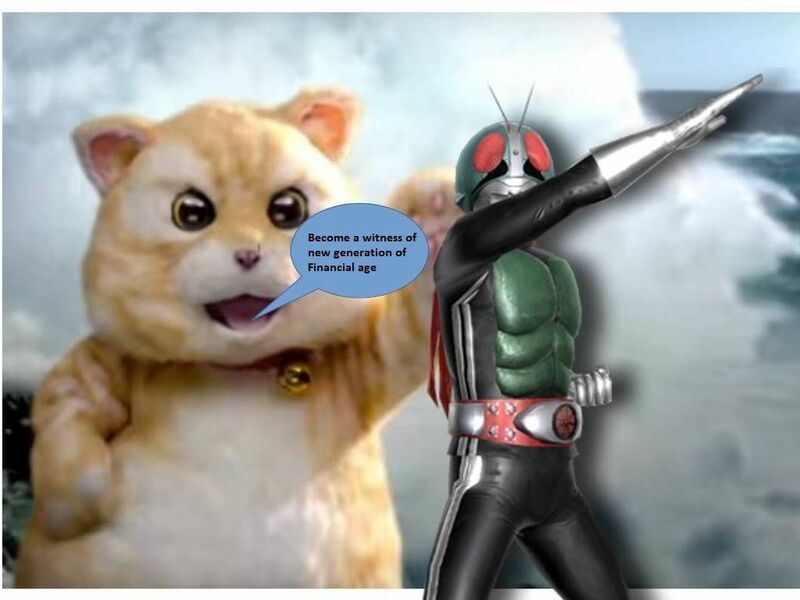 The information released the news this month. The implementation of existing encryption scheme looks have space to enhance. Another bug has been found on X.931. It looks that the vulnerability found on encryption machanism last few months reveal the bottleneck in IT environment. Can you still remember that our Hero Edward Snowden alert. He was told that cyber espionage or government will relies ob backdoor of device or application to execute their task. A scandal reveal security vendor use the weak crypto scheme benefits to NSA to receive government contract. Perhaps we did not focus on encryption mechanism since we believed that we are secure once we make it. However the design limitation is the cache. No matter it is a hardware or software. Hacker relies on temporary cache retrieve the SSL key then execute man-in-the middle attack in antivirus software. A private key found on chipset which make more than million of mobile devices in security breach. My imagination of conspiracy theory, it looks that Hero Snowden and wikileak reveal how NSA doing the surveillance program. Since secret expose and therefore they are not going to use anymore. As a result more and more scandal or unknown bug will be open to public. Below url will provides hints to you for reference. RTOS(real-time operating system) is under attack. Do you think it is the 2nd round of test? The terms IoT (Internet of things) looks a messed transformation of specifics definition. 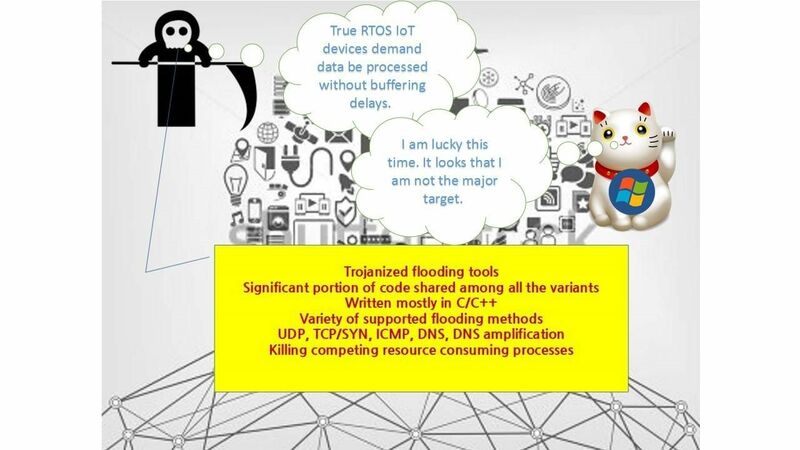 The suitable criteria to define a IoT component is that for a device demand data be processed without buffering delays. If you have habits read technology post daily. 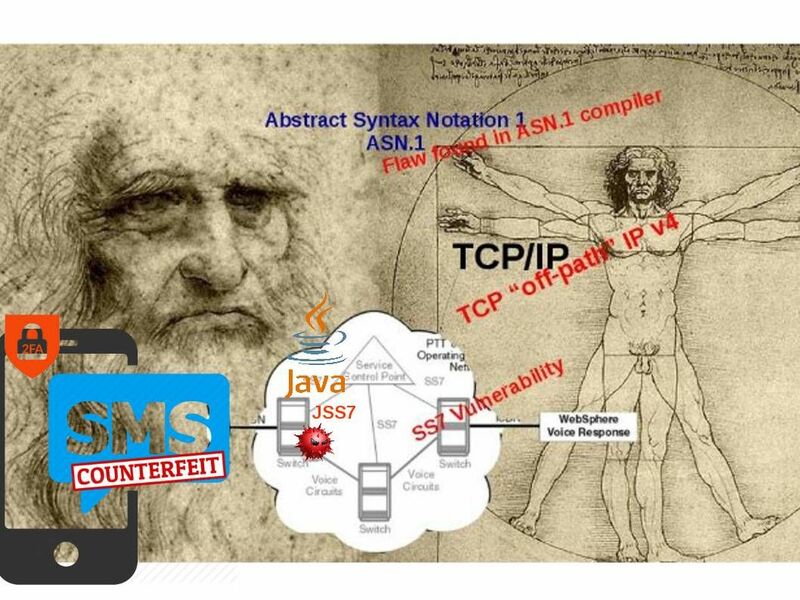 We known that IT security vendor (checkpoint) alert the world that a new IoT botneck is going to jeopardizing the world. Since the case is under their investigation. My personal opinion is that the specifics attacks focus on RTOS(real-time operating system). For instance, web cam, router, smart city facilities. I strongly believed that Microsoft not the major target. Since RTOS devices has large coverage on simplified linux base OS platform. Keep your eye open, you might seen the result of reaper IoT attack relies on shellshock vulnerabilities and bruteforce attacks.In additional, if the device found vulnerabilities on the kernel. The malicious code will relies on it. Below url can provides the details to you in this regard. Perhaps we have more and more electronic computing devices supporting to our life daily. The hostile country engage the attack to suspend the daily operations of the enemy looks better than a bomb or military threatening. 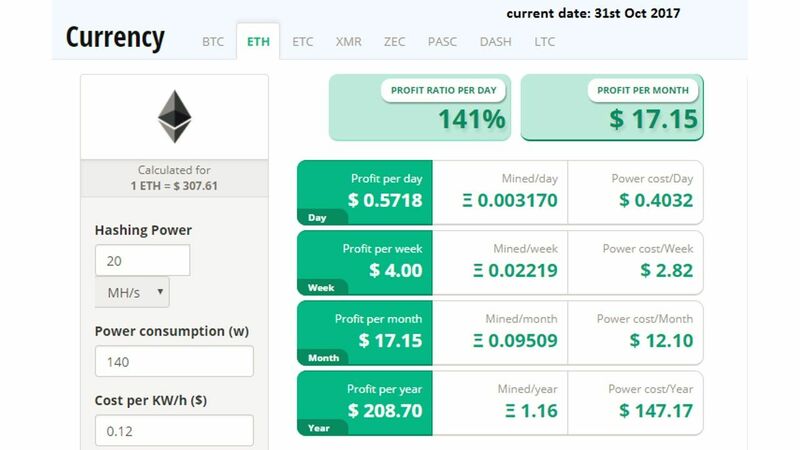 Bitcoin technology looks luck this round since INFINEON chip design flaw – not vulnerable in ECC (Elliptic Curve Cryptography), flaw only encountered on RSA. The flaw resides in the Infineon-developed RSA Library version v1.02.013. A design weakness has been found. A vulnerability in an implementation of RSA Key Generation could allow private encryption key disclosure. 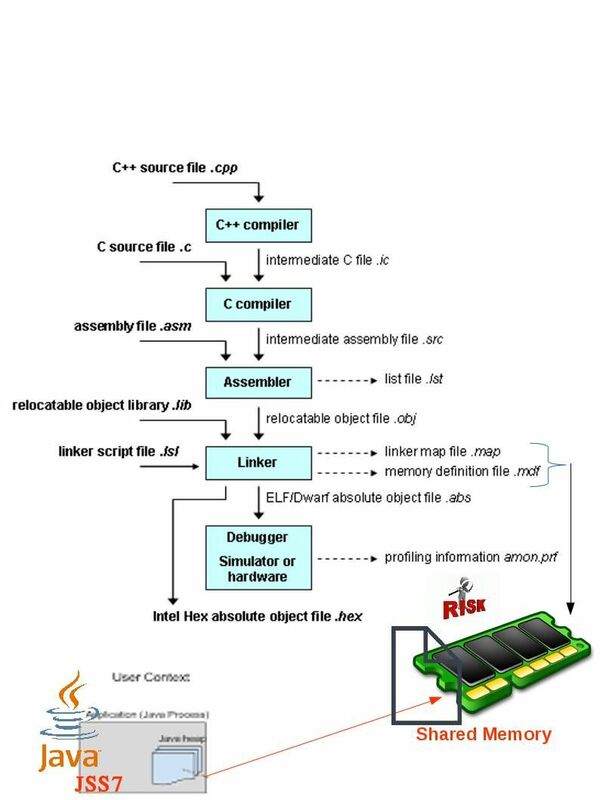 This vulnerability affects any products using the affected code library “RSA Library version v1.02.013” developed by Infineon Technologies. 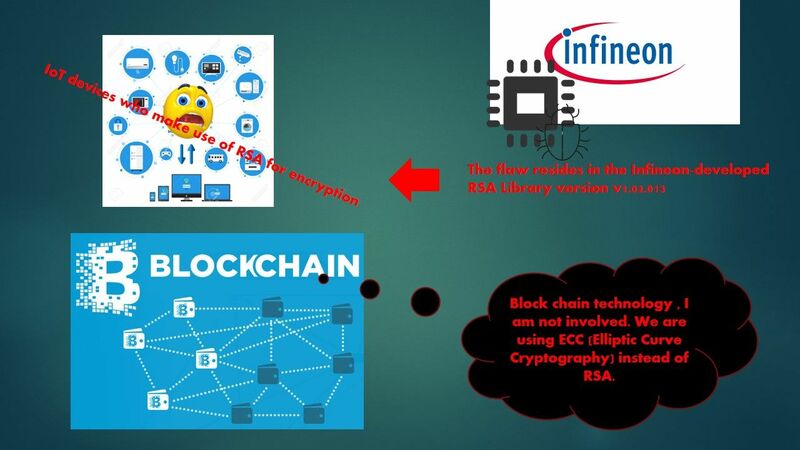 Keys generated with smartcards or embedded devices using the Infineon library are vulnerable, as well as devices certified by NIST FIPS 140-2 and CC EAL 5+. It is hard to believe that a tough and harsh security requirements issued by NIST (FIPS 140-2) and Common Criteria. However the certified products are also the victim. Do you think is there a verification and identification gap in between hardware vendor and security authority? And therefore such embarrass status happened today. Laptops and mobile devices use Trusted Platform Module (TPM) hardware chips with the affected encryption key code library. For instance Google, Microsoft, HP, Lenovo, and Fujitsu. They claimed that the have patched their respective software. Should you have interest in related topic, please refer to below url for reference. WPA2 vulnerability found. But online Banking system customer do not shock. WPA2 vulnerability found. But online Banking system customer do not shock. Take it easy. The WPA2 wireless encryption scheme looks secure before specifics vulnerability occurred. Security expert found that hacker is able to relies on 3rd handshake doing injection which causes man-in-the-middle of attack. As a result your wireless network data traffic will be hunted by hacker. 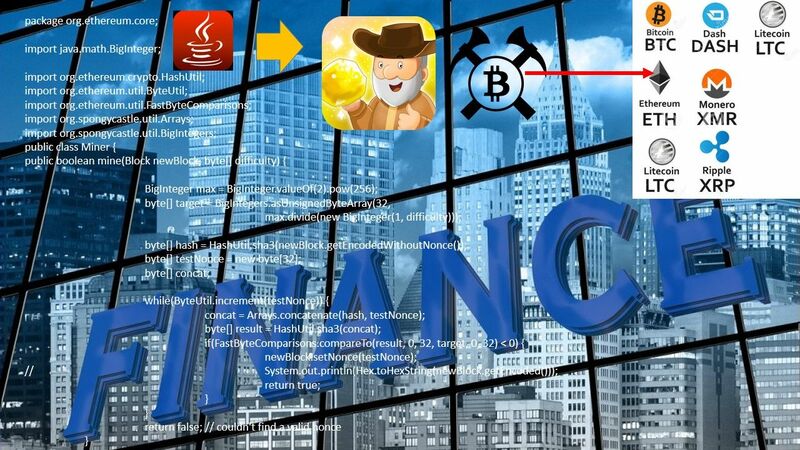 The data includes on-line banking credentials, social media credentials,….etc. But if you think it over. The SSL tunnel end point of online banking web application is seat on your mobile. Hacker must install the web server SSL public PKI key certificate in the 1st phase, otherwise he cannot view the data embedded in the traffic pattern. Perhaps hacker already install the public cert. However a HSM will be protect your password from online banking system. Since password will be shown as random code. Hacker cannot reuse. How about VISA 3D secure method? You will receive SMS alert of your payment transactions finally. You can verify by yourself. For more detail about the WPA2 vulnerability, please refer below url for reference. Reuters interviews with Microsoft former employees. A scandal given by former employees was that Microsoft responded quietly after detecting secret database hack in 2013. It looks that this is official commercial tactics. I have no surprise that hackers relies on known bug on vendor bug track database to formula new generation of virus. Believe it or not, we seen this virus already. 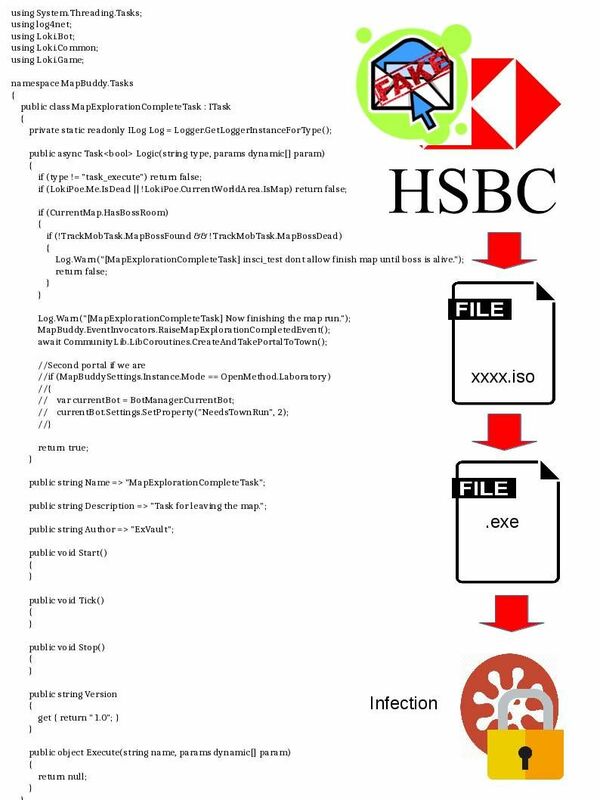 We all know that the 1st version of Ransomware development relies on Microsoft bug which found by United Stated National Security Agency. The scandal happened this month. We have more and more news update afterwards. For more details about the journalist interviews.. Please see below url for reference. Reminder: Oct 2000 – Microsoft admits that its corporate network has been hacked and source code for future windows products has been seen. Hacker suspected to be from St. Petersburg. CVE-2017-15265 found on Linux causes privileges escalation. 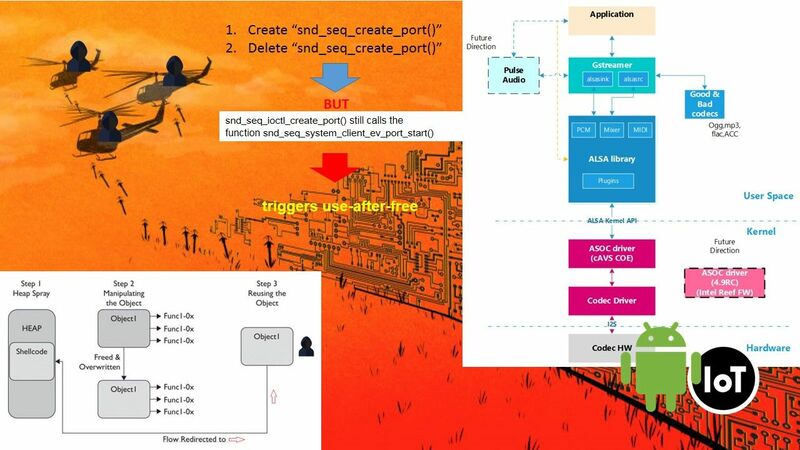 Cisco expert found that it the vulnerability is due to a use-after-free memory error in the ALSA .The ALSA Framework design for audio function. However Android and IoT devices are deployed the ALSA framework on demand. Since Cisco do not have sound on their router, network switch, IDS and firewall devices. However hacker is able to use this vulnerability on all Linux OS platform. No one can say this is only a critical incident. This design weakness jeopardizing the IT world. Keep your eye open. Perhaps there are under going cyber attacks or data leakages cases relies on this design weakness which infiltrate the victim devices.However we do not find yet till now! For details of this vulnerability, Cisco provides their findings. Please refer below url for reference.